For the Jimenez family, community service is a group event. Bryan Jimenez, 17, is the second of the Washburn family to work toward earning his Eagle Scout rank and is pursing that through continuing a service project his brother, Alejandro, began last year. Alejandro, known to his friends as Alex, earned his Eagle Scout rank last year. One of the components of earning the highly-acclaimed rank is to have a service project. His project was a landscaping venture of the True Love Cemetery, which is near the family’s home. Through the aid of family, friends and generous businesses, Alejandro was able to landscape 120 feet of the fence row at the cemetery, making the property more appealing to patrons visiting their lost loved ones. When Bryan started thinking about his own service project, he decided to continue his brother’s work and do another 120 feet of the fence row, which was much appreciated by the cemetery association that runs the site. Bryan did say that the work was much easier thanks to learning quite a bit from his brother’s initial quest to complete the landscaping. He said, “Alex’s was 230 hours, but since we were experienced, it was only 130 hours instead.” Bryan also said they had fewer volunteers, but they all had more experience, which made it easier. Bryan is a member of Boy Scout 977 of Cassville. Donations for the True Love Cemetery project came from Lowe’s of Rogers, Ark., Meeks of Rogers, Ark., Perennials, Etc., of Garfield, Ark., MFA of Cassville, Tyson Foods, and Wheeler Metals of Rogers, Ark. Bryan lives in Washburn with his father, Prudencio, mother, Marisela, and sister, Rachel. Alejandro attends Harvard University. 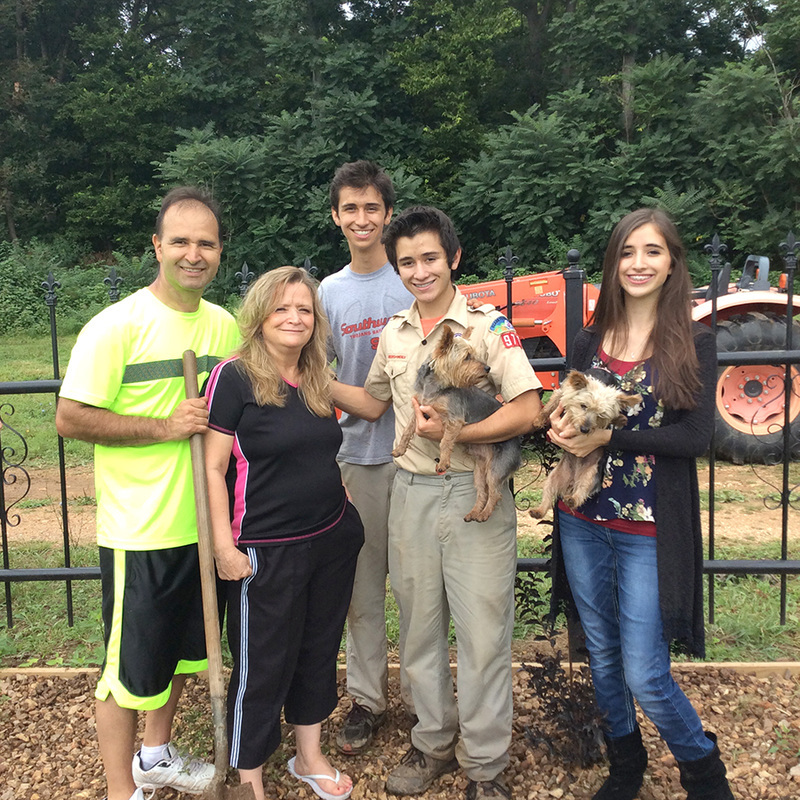 The Jimenez family is pictured above while working on the True Love Cemetery project. From left to right: Prudencio Jimenez, Marisela Jimenez, Alejandro Jimenez, Bryan Jimenez and Rachel Jimenez. 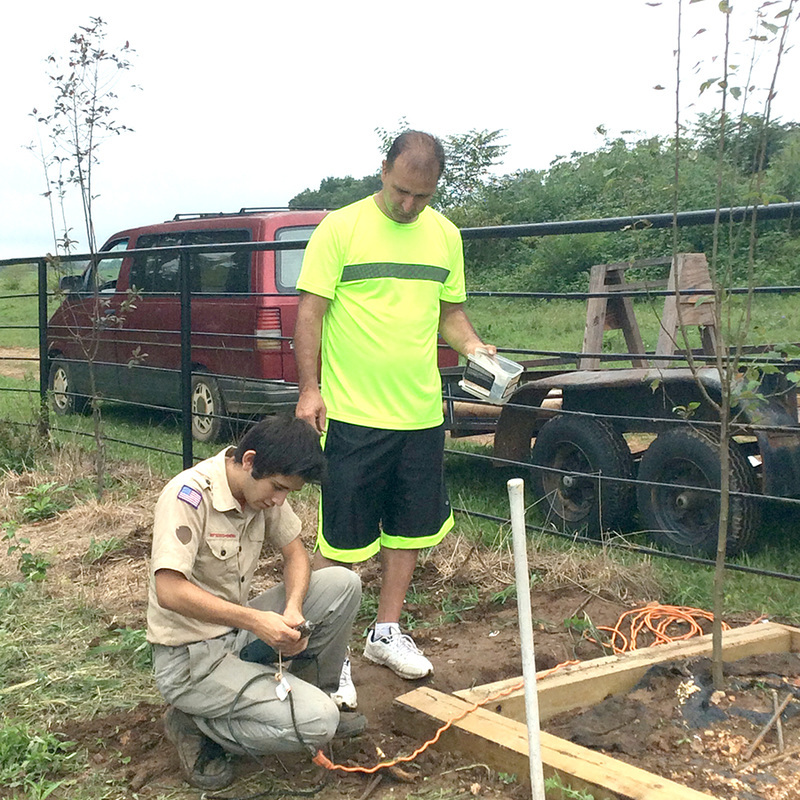 Bryan and his father, Prudencio, work together on the landscaping.